Collector demand is pushing your 1889 Indian head penny value higher. These old pennies from the 1880s are a popular collectible. Also of note: Today the demand exceeds the small supply of better quality, well preserved 1889 pennies. A majority of these coins were lost to time and heavy use. As listed on the chart its high minimum value indicates all are scarce. 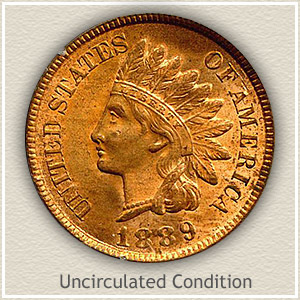 The rarest of pennies and seldom encountered are coins that never entered circulation. As a result these like new pieces are avidly collected and at the highest end of 1889 Indian head penny value. Pictured is one of the few in gem condition and worth well over $100 to an avid collector pulling together a set of high quality examples. 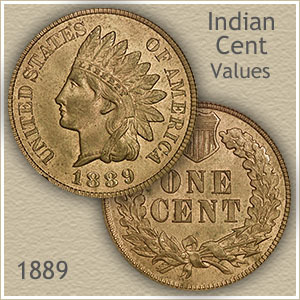 As part of the popular Indian Head penny series, your coin in any condition, is sought by many collectors and dealers. Amazing: An Indian penny this old surviving until today with its original mint luster. Bright yellow-gold radiating across the entire surface and still intact on a 120 plus year old copper is a rarity. Many collectors would proudly place this coin as a center piece to their collection. On eye appeal along the 1889 pictured is desirable, further adding to its appeal are mark free surfaces. Few imperfections, the results of bumps or abrasions are visible, even under magnification. 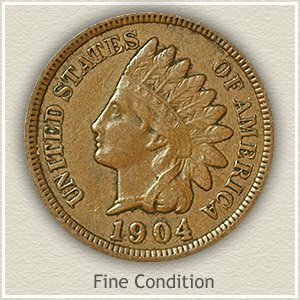 With an increasing number of collectors assemble sets of Indian pennies the condition of each is judged carefully. Values are separated by each coin’s appearance and remaining detail. At times only a small amount of remaining detail separates what is necessary to please the eye of a collector and to pay a higher price. Compare your coin to the images and descriptions finding an accurate value. Uncirculated: Immediately after leaving the mint this 1889 penny still in "uncirculated" condition was put away and never used. The highest parts of the design have not been disturbed by wear. Check the Indian‘s cheek, hair and ribbon below her ear and the tips of the feathers. If there is any wear, these areas show a smoothing to the surface and the original luster is disturbed. Fine: Noticeable are parts of the hair and headband have worn to the point of merging. Feather details are missing at the ends. Her cheek is no longer rounded. Despite this moderate wear your 1889 penny still has a pleasing look. Good: If a coin’s surface has received extensive wear it is referred to as "good" condition. As you scan around the rim, it is important all lettering is visible. Although the portrait is very worn the bold design is clearly separate of the surface. Few details of the headdress remain, feathers are just an outline and the headband is obscured. Her facial features are very faint, the eye does have some depth and the cheek is faintly separated from her neck. 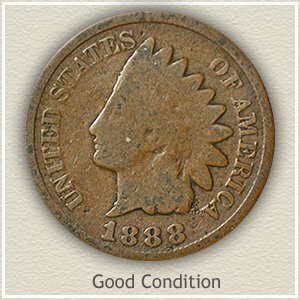 If a small amount of roundness is visible to her face your 1889 Indian head penny value is slightly higher. A very popular coin, everyone understands and has heard of the value of an Indian Head penny. Common dates are now worth one dollar each. Many collectors are building collections and putting a heavy demand on the rare dates and better condition coins. 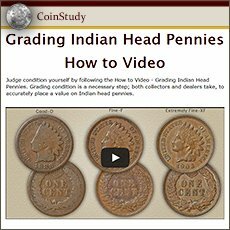 Compare your Indian head penny dates to the values chart. 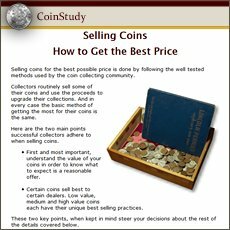 Get the best price if selling and finding coin buyers by knowing accurate values.